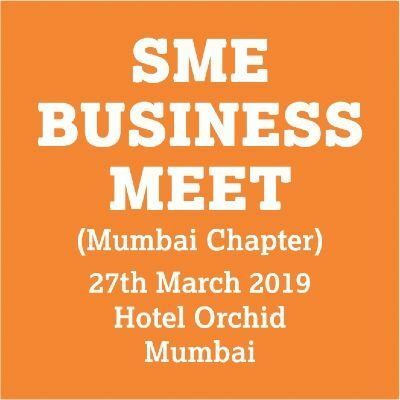 SME Business Forum and SME Chamber of India are jointly organising “SME BUSINESS MEET” on 27th March 2019 at Hotel Orchid, Mumbai in association with Tata Tele Business Services, SME Export Promotion Council and India International Trade Centre (IITC-INDIA). 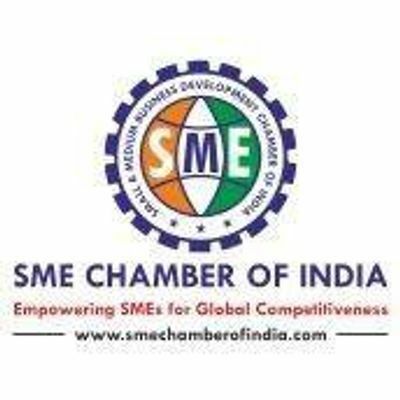 The Conference will emphasise on the inclusive growth of the SMEs from manufacturing, export and service sectors by utilising Innovative Technology and will provide a unique opportunity to understand various accelerators for enhancement of business growth and expansion such as finance, advanced technology, artificial intelligence, data analytics, adoption of good governance and business ethics, importance of digitalisation in manufacturing, enabling smart IT solutions, international trade promotion strategies, new export markets, preparation of viable business plans for joint ventures, technology transfer and disruptive manufacturing, utilisation of intellectual property rights, procurement, supply chain management and transformation of businesses for better profitability and expansion. We invite the interested entrepreneurs & Executives to register at the earliest. 5, Ground Floor, Samruddhi Venture Park, Adjoining Tunga Paradise, SEEPZ - MIDC Central Road, Next to Akruti Centre, Andheri (E) Mumbai - 400 093. FREE BRAIN DEVELOPMENT WORKSHOP for kids of age 5 to 13 years.